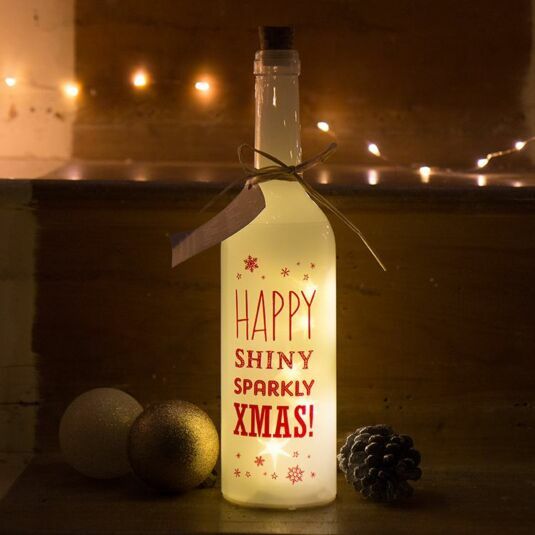 Celebrate the most wonderful time of the year with this stunning LED illuminated bottle. A catchy Christmas phrase is printed in red letters on the front of a white tinted glass bottle, accompanied by snowflakes. When switched on, the bottle emits warmth and a touch of magic from the star shaped lights within. Using the on/off switch beneath this bottle triggers a warming yellow-tinged white glow of light which sparkles throughout the interior of the bottle. 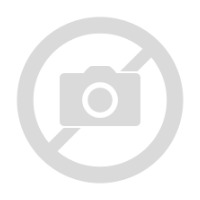 This bottle is powered by 3 x AAA batteries (not included but available separately). 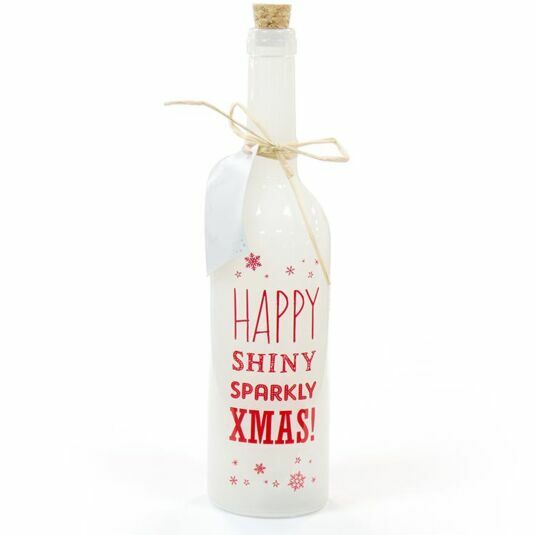 Bring some magic to the occasion and enjoy a gentle starlight glow with this sparkling white illuminated bottle which is finished off with a real cork stopper on its top and has the added touch of a gift tag for you to present to a favourite friend. It would look perfect in a window, or on a shelf or mantelpiece allowing you to light up the winter darkness making io the perfect gift for a friend or a unique decorative item to illuminate your Christmas decorative display.